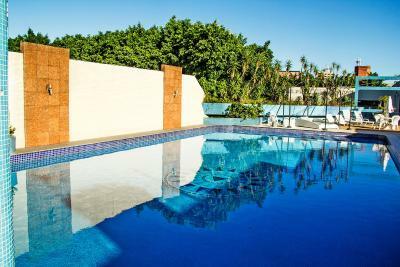 Lock in a great price for Hotel Foz do Iguaçu – rated 8 by recent guests! 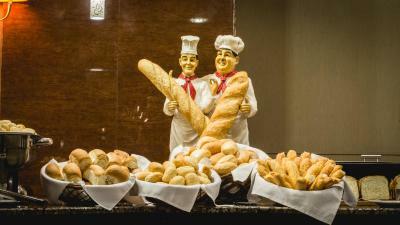 Amazing breakfast buffet! Friendly staff but only a few spoke english. 3min walk from the main bus station where we caught the 120 bus both to the Brazilian side of the falls and to the airport. Money exchange place literally next door. Didn't use the pool but it looked lovely. It was a great location at the heart of the centre of town. You can walk 15 minutes to great bars and restaurants. 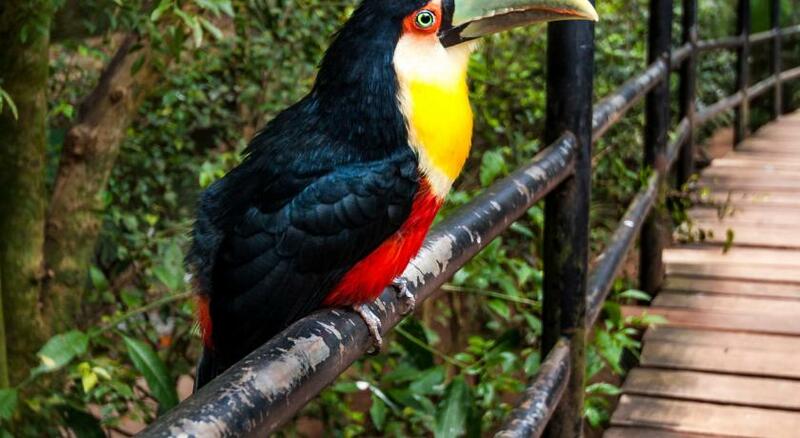 There is a bus stop 5 minutes away that takes you to the falls or you can get the bus to Paraguay for 6 BR. Breakfast was good and the Wi-fi was really good. They have a pool table and pool outside. Room is spacious and there is a big double bed to sleep in. The price of the hotel is good. There are a few close by restaurants opposite the hotel. What was important was that the staff knew very good English and were able to help. This was a big help. Can’t remember the guys name but a guy with glasses was good and the guy that does the morning shift. There is room service 24 hours a day which is fantastic. The room is clean, decent, comfortable. Very convenient location if you're a user of public transportation (300 mts from the bus terminal). 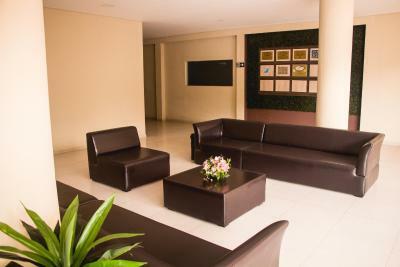 Good extra amenities, such as swimming pool and playroom with pool and mini football. 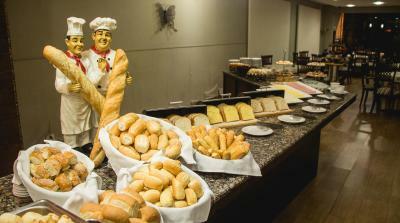 Great, varied buffet breakfast. The place is nice but quite old fashion. The staff make the job (even if they haven't my reservation when I arrived). The breakfast is generous and varied. Furthermore, the hotel is close to the rodoviaria (not the international one) and so it's very convenient to go to the waterfalls (at least for the Brazilian side). The place has not been renovated in a long time, but it's clean and serves a very complete breakfast. It's in walking distance to the bus terminal for local transport. From here you will get easily to the falls, to shops in Paraguay, the Itaipu Dam, and the boarder crossing to Argentina. Also it is in walking distance to Churrascaria do Gaucho (steaks all you can eat for 40 Reales), Fatmacies and supermarkets. great breakfast and nice clean room. shower good and hot. very helpful staff! Very nice and helpful hotel staff. Close to the bus central station. Not the high standrad but good value for money. 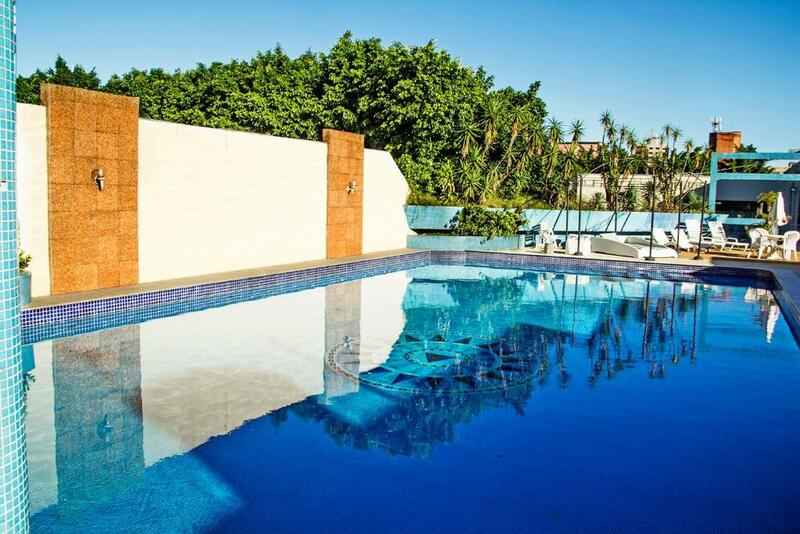 Hotel Foz do Iguaçu This rating is a reflection of how the property compares to the industry standard when it comes to price, facilities and services available. It's based on a self-evaluation by the property. Use this rating to help choose your stay! Hotel Foz do Iguaçu is centrally located, yet less than 22 mi away from the Iguazu Waterfalls. 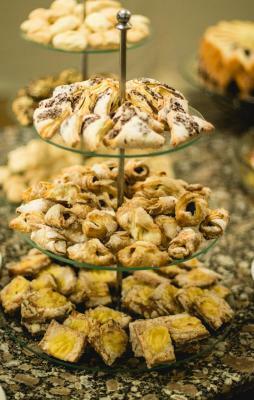 It features free breakfast buffet, two outdoor pools and offers free Wi-Fi. Guest rooms are equipped with air conditioning, TV, mini-bar, and a private bathroom with amenities. 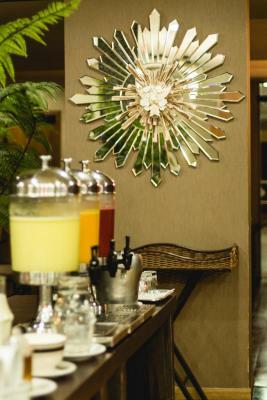 A breakfast including diverse fruits and juices is available. Guests can make use of the games room or relax at the green garden. Foz do Iguaçu also features a Convention Center with a capacity of 800 people. 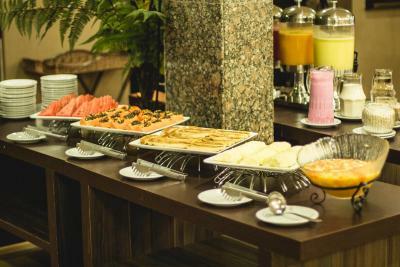 Foz do Iguaçu Hotel is located in the city center, close to several shopping malls, cafes, and restaurants. Foz do Iguaçu Airport is less than 12 mi away. Free on-site parking is possible. 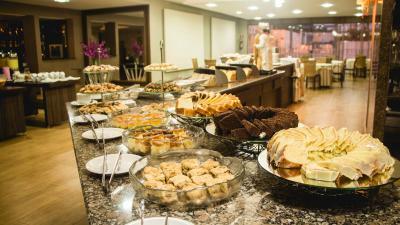 When would you like to stay at Hotel Foz do Iguaçu? This recently refurbished room features a split air-conditioning unit and contains a cable TV, a mini-bar and a bathroom with a hairdryer. It provides rustic decor and wooden furnishings. Hotel surroundings – This neighborhood is a great choice for travelers interested in shopping, sightseeing and tourist attractions – Check location Excellent location – show map Guests loved walking around the neighborhood! 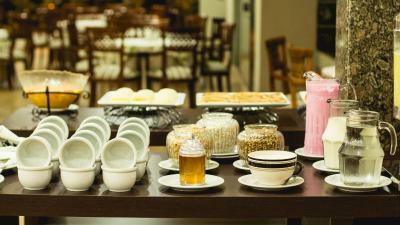 House Rules Hotel Foz do Iguaçu takes special requests – add in the next step! Hotel Foz do Iguaçu accepts these cards and reserves the right to temporarily hold an amount prior to arrival. - 03 animals up to 6 kg per apartment. - 02 animals of up to 10 kg per apartment. - 01 large medium sized animal per apartment. Please note that vaccination card and health certificate for travel are required for pets staying at the property. I had the window of my room seeing in a kind of interior yard , which was covered by a courtain , I could not see the sky for even a second from my room , felt it like a prison . Our bathroom smelt awful - if we were staying more than one night we would have asked to be moved. We couldn't get our aircon to work so the room was quite hot and muggy. The hotel could have had a better gym as I was not able to use it properly so I gave up. Apart from that nothing else. Not working heating, its bit cold in winter, we are not from Venus ;) Watermelon juice for breakfast, super tasty! The WiFi didn’t work; the room and whole hotel is not as expected and shown in photos. The staff in reception is very lazy. The room's lighting is poor, at least mine. Only a very cold lighting fixture on the ceiling, no individual reading light. I had a problem with that. They solved bringing me one after a while, but they should really take care of that feature. Wi-fi doesn't always work. Important if you, as me, require it to work. The furnitures are from another time.